February | 2018 | Superhero etc. Hello interweb, Nate here. I’ve been wanting to make this post for a while and since I’m leaving in 15 minutes to go see it I thought I’d jot down some pre-movie thoughts before I head out. I’ll have a review up tomorrow for all of you to see my final thoughts. 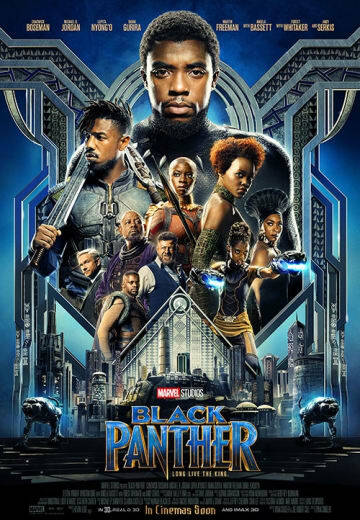 This movie has gotten a lot of hype and a large part of it is the fact that this is a mostly black movie with only two Tolkien white guys (like if you got that joke) in the whole mix. If you’ve been reading my blog for a while, you’d know I get really annoyed with the SJW side of comic books and I’ve had mixed opinions on representation as a whole. However, before seeing the movie I don’t really see this as a big SJW movie at all. When I think SJW, I think of people forcing representation into the story rather than letting things organically develop. Iceman is a good example of this. However, the mythos surrounding Black Panther just doesn’t come off to me as forcing representation down our throats and actually feels like a breathe of fresh air considering how few movies like this film are out there. In fact, I’d go as far as to say this movie seems like a really important movie in terms of representation for the black community. Granted, this is kind of a funny form of representation when you really think about it. I mean, Wakanda is a fictional country with different politics and societal standards than the real world and thus doesn’t technically represent the struggles of black Americans or even black Africans (is that redundant?). Although, I realize what people mean by representation since it’s not really in comparative to real world society but mainly from Hollywood movies in general. I mean, when was the last time you saw a primarily black cast in a movie? Now lets talk about the movie itself outside of politics for a second, since I really wanna rush this out there before I head out to see this thing. When the movie was initially announced, I wasn’t actually overly excited for the film since to me I saw it as just another Marvel movie and with Infinity War on the horizon my hype is set on that film more. But the closer this film has gotten to it’s release, the more hype it built and I’ve slowly been sucked into the hype. It wasn’t until the movie officially came out that I became as hyped as I currently am to see this thing. People keep saying it’s the best Marvel movie yet! I’m hoping I’m not over-hyping this film in my head so I’m not dissapointed if it doesn’t meet any of my unrealistic expectations, but I am excited either way. Alright, time for me to go. Forgive any possible typos or grammar mistakes please as I wrote this in a rush. I’ll fix minor details later. Peace! An Update – Is this blog dying?